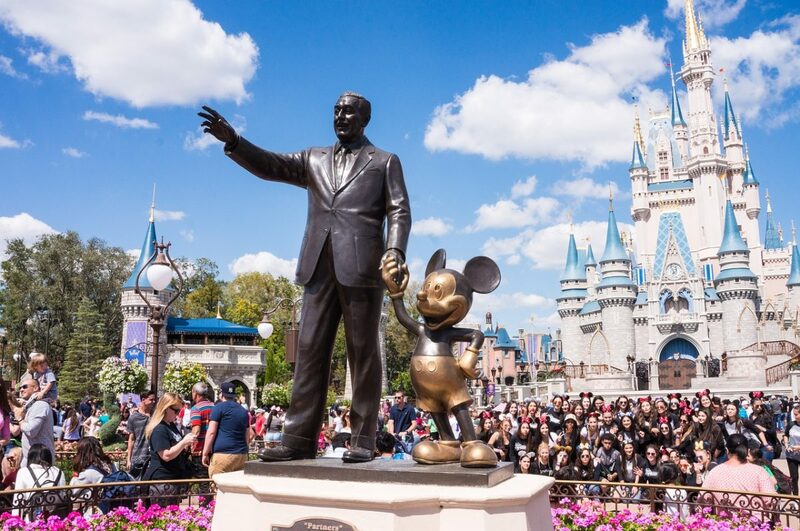 Statue of Walt Disney and Mickey Mouse in Disney World Orlando. Thanksgiving is approaching, which brings a much-deserved break for Loyola students. 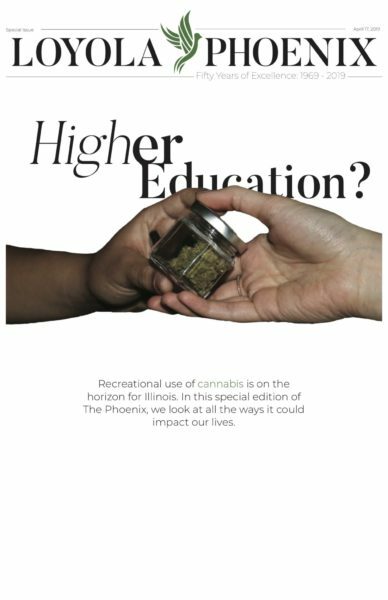 The PHOENIX decided to look back at past events during this holiday time that shaped modern entertainment. From the debut of Mickey Mouse to the release of one of Hollywood’s most iconic movies, here are five of the most important moments in pop culture history. The film seen as a comforting, nostalgic movie to many millennial viewers is also one of the most important, groundbreaking movies ever made. Pixar Studios changed animation going forward when it debuted its first feature-length film, “Toy Story,” in theaters in 1995. The first fully computer-animated movie in history, “Toy Story” captivated critics and audiences alike with its witty humor, Oscar-nominated script, star-studded cast and jaw-dropping animation. No longer were characters limited by animation against a stagnant, 2-D background. Now, characters could dynamically interact with a living and breathing environment. More than 20 years later, “Toy Story” has stood the test of time as one of Pixar’s most beloved movies and spawned one of cinema’s most successful franchises. Metro-Goldwyn-Mayer Inc. Elvis Presley (pictured) performing the titular song in his hit film, “Jailhouse Rock.” Metro-Goldwyn-Mayer Inc.
On Sept. 9, 1956, Elvis Presley made his history-changing appearance on “The Ed Sullivan Show” and infatuated the youth of America with his radical new sound and shaking hips. By winter, he had secured his place atop the music charts, revolutionizing rock ‘n’ roll. As his music career began to skyrocket, Presley looked toward a new frontier: acting. Nov. 15, his first film, “Love Me Tender,” debuted at the Paramount Theatre in New York City. The film follows Confederate soldiers at the end of the Civil War who are ordered to rob passengers on a Union payroll train. Presley sang the titular song in the movie and would continue to sing throughout the rest of his career in Hollywood. He appeared in a total of 33 films by the time he stopped acting and proved his commercial appeal to producers time and time again. 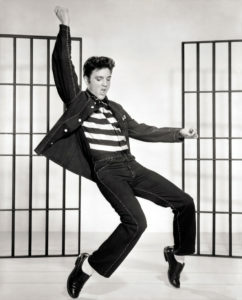 Today, Presley is remembered as one of the largest and most influential entertainers in history. Nearly 70 years ago, writer and composer Frank Loesser’s new musical, “Guys and Dolls,” premiered at the Richard Rogers Theatre in New York City. Focusing on the lives of New York gamblers, the musical became a smash hit with audiences, running for 1,200 performances. “Guys and Dolls” was as critically acclaimed as it was popular, winning the Tony Award for best musical in 1950 and the Pulitzer Prize for Drama in 1951. To date, the musical has been revived more than 11 times onstage and adapted for the big screen in a 1955 film starring Marlon Brando (“The Godfather,” “On the Waterfront”), Frank Sinatra (“From Here to Eternity,” “Ocean’s 11”) and Jean Simmons (“Spartacus”). Warner Bros. Studios screened its new film, “Casablanca,” at the Hollywood Theatre in New York City before its nationwide release Jan. 23, 1943. The film follows Rick Blaine (Humphrey Bogart), the owner of a nightclub in Casablanca, Morocco during World War II. When his ex-lover, Ilsa Lund (Ingrid Bergman), walks into his club, he must look past his love for her to help Lund and her husband, a resistance leader, escape the French-controlled city. After audiences heard Bogart utter the film’s famous closing line for the first time — “Louis, I believe this is the beginning of a beautiful friendship” — “Casablanca” suddenly gained a new devoted fan base. The film received consistent rave reviews and established itself as an instant classic, and it’s still considered one of the greatest movies ever made to this day. Over Thanksgiving break, “Casablanca” will celebrate its 75th anniversary. Disney’s cartoon debuted Mickey Mouse whistling carelessly and piloting a steamboat down a river before the real captain of the boat, Pete, suddenly appears on deck to scold him. The premise is simple, and the story was by no means Disney’s focus. His aim was to combine sound and animation in a way never done before, and his final product bred the term “Mickey Mousing” — which refers to the matching of movement to music. For example, when Pete adjusts his trousers, a stretching sound exaggerates his motion. While a technique now taken for granted, “Mickey Mousing” changed animation forever. Besides its technical innovation, “Steamboat Willie” is etched in history for introducing the world to Mickey Mouse, an adored character that quickly became the face of one of the largest and most dominant businesses in entertainment. Beloved by children and adults alike, Mickey Mouse remains one of the most iconic and recognizable characters ever put on screen.